One of my favorite things about building in established communities is the mature trees and plant life that come with it. It’s something that takes time to grow, it’s something that adds an element of life to a property, and in my eyes, it’s something that helps to create a more relaxing space. 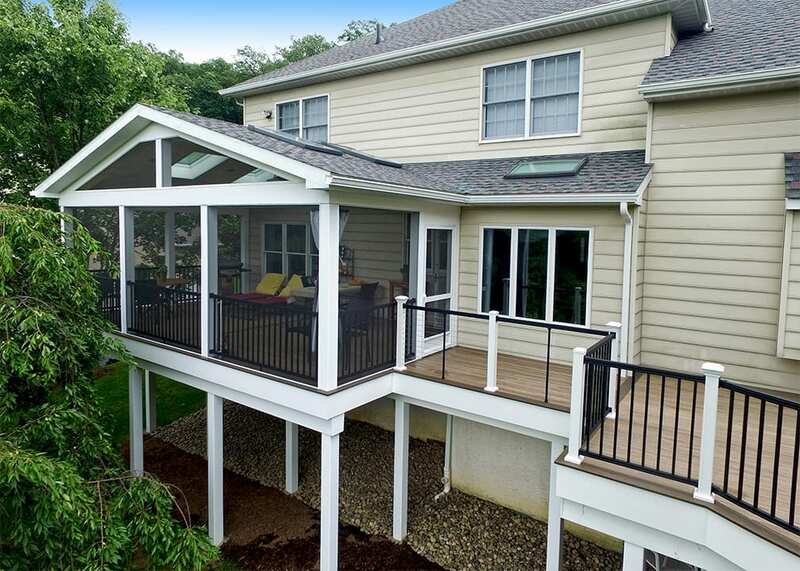 Picture yourself on this deck, you can almost hear the cheery sound of birds chirping and leaves rustling. Step into the screened-in porch, picture yourself here on a chilly Saturday morning, still in sweats & drinking coffee from your favorite mug. These are things that drive us to create the best outdoor living spaces that we can, and this job is a beautiful representation of extending the indoors, out. Built with high-quality low maintenance products and a well thought out design, this backyard is now established as quite possibly, a personal resort to escape reality and enjoy the moment.